Our Partners have shown confidence and support in what we do and have contributed enormously to KHC’s success. 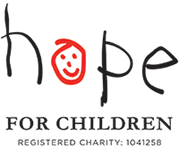 Hope for Children (HOPE) is a UK based charity which works towards a world where children’s rights are realised and they can reach their full potential. They actively identify disadvantaged children and communities by working with local partners. Through empowering, collaborating and learning together they aim to build a sustainable future for the children and communities they serve. Their focus is to reach as many children as they can and deliver to them the childhood every child deserves. To find out more about the great work they do for children visit their website. 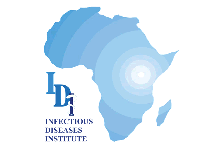 Infectious Diseases Institute (IDI) mission is to strengthen health systems in Africa, with strong emphasis on infectious diseases, through research and capacity development. KHC programs that are assisted are: HIV Counselling and Testing (HCT); HIV care and treatment with antiretroviral drugs; TB/HIV management; Elimination of Mother to Child Transmission (EMTCT); Early Infant Diagnosis; Supply Chain Management systems and Health Management Information systems. Support has also been given through training, mentorship, and provision of equipment and supplies. IDI is able to support these programs through funding from Centers for Disease Control and prevention (CDC) and The United States Presidents Emergency Plan for AIDS Relief (PEPFAR). This support has enabled KHC to grow and provide ongoing support to clients with HIV/AIDS. 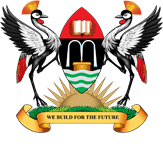 You can find out more about how they are building the health care capacity in Uganda and the region. Samaritan Healthcare & Hospice is an independent, not-for-profit community-based organisation. 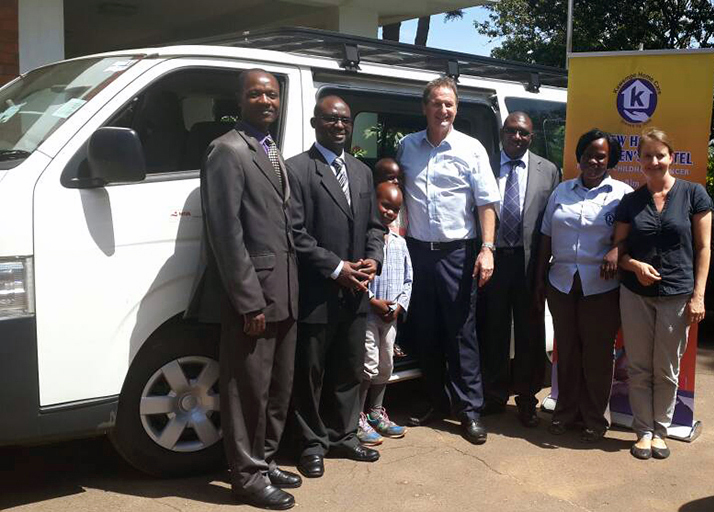 Like Kawempe Home Care, Samaritan was a community pioneer when it was founded in 1980 by a dedicated group of volunteers. At that time, Samaritan was the first hospice to serve the southern half of the US state of New Jersey. Today, Samaritan’s growing Family of Services touches the lives of more than 5,000 people each year. Education for many KHC children (and support for local beaders) through the Beads for Education program as well as individual sponsorships from their friends and families. Staff development and education using Internet-based, on-demand training developed by Samaritan Healthcare & Hospice and Garden State Infectious Disease Associates. Community education and fundraising for hospice/palliative medicine, supplies and other equipment, including a new vehicle for field visits. Hosting reciprocal visits of staff and volunteers for education, support and friendship. Find out more about this wonderful group. HORIZONT3000 is an Austrian organisation for development cooperation. With the mandate of their member organisations of the catholic development sector, HORIZONT3000 specialise in the monitoring and implementation of projects as well as in the provision of experts in developing countries. Currently HORIZONT3000 assist 150 projects in 12 countries in Africa, Latin America and Oceania. Technical Assistant for a period of two years and currently Agnes Spiegel is assisting the Monitoring and Evaluation department. Conduct training and exchange meetings. These specialists provide Kawempe Home Care staff with valuable skills training, improved business processes and mentoring. To find out more about HORIZONT3000 visit their website. Uganda Network on Law, Ethics and HIV/AIDS (UGANET) is a social Justice and law organisation that champions human rights, and gender equality work in the context of health and HIV/AIDs. UGANET envisions a Uganda free from human rights abuses in the context of Health and HIV and Gender. For the past 20 years, UGANET mandate lies on the foundation that the law, legal policies and human rights are critical enablers in influencing the success of HIV, Health and Gender interventions intended to prevent further spread and also mitigate the adverse social impact and suffering caused by HIV and Gender inequality. UGANET has been taking the lead and actively participating in national discourse on laws and policies that impact on Violence against Women in Uganda. In the same vein, for 5 years, UGANET has been implementing programs in preventing violence against women and providing legal aid to survivors of violence. This has been under the mentorship and capacity strengthening of Raising Voices/CEDOVIP and International Research Center for Women Technical Assistance. This group has been providing valuable legal aid support to KHC HIV/Aids clients, many who face discrimination, domestic violence, being forced out of their homes or rental accommodation are just some of the issues they face. This service provides our clients with a voice that they otherwise could not have had. To find out more about the great work that UGANET provides communities go to their website.